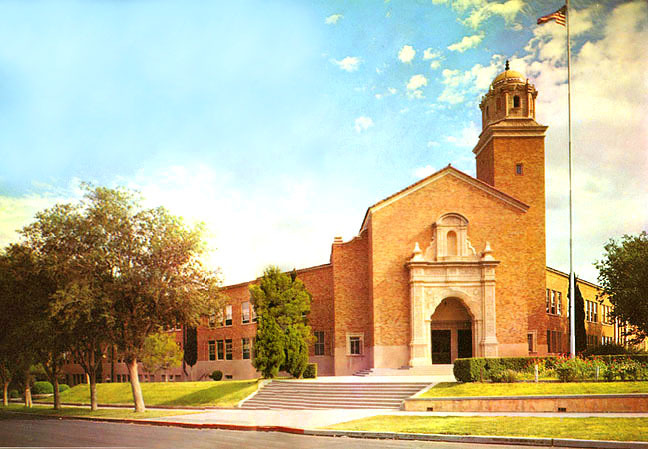 Stephen F. Austin High School was built in 1929. 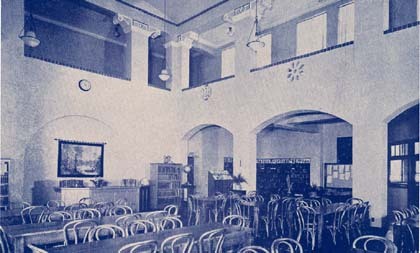 It opened its doors to students in September 1930. The students who came from Austin Jr. High (now known as Houston Elementary School) requested that the new school have the same name, colors, mascot, and traditions. R.E. McKee Construction Company built the school. An old Spanish mission architectural style was used. The main building is constructed of light tan bricks and is fireproof. Sloping parts of the roof are covered in red Spanish tile. The structure is crowned by a 103-foot tower. The classrooms have marble floors and the hallways are floored with terrazzo. There have been many additions to the campus since the original building was completed. 1936 - A football stadium was added. This stadium was named after Robert E. McKee, the contractor who built the school and stadium. 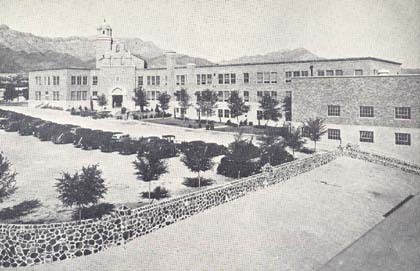 1942 - Construction began for an addition to the school. Thirty classrooms were added to the high school and another thirty classrooms were built as a Junior High School. 1943 - New Junior High School opens to students in September. 1945 - Bleachers on the east side of the stadium were condemned after several students were injured. 1946 - Permanent seats erected. 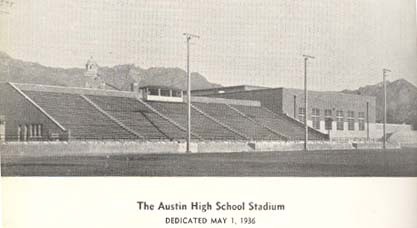 1947 - Addition was dedicated during Cathedral-Austin football game, the first to be played in the stadium. 1954 - East side of the stadium was outfitted with new locker rooms and other amenities; the varsity baseball team was the first group to utilize the new facilities. 1956 - 25 additional classrooms added to the junior high. 1978 - New building erected in the quadrangle to house a library on the first floor and science classrooms on the second floor. 1998 - New main gymnasium was dedicated (the Panther Activity Center or PAC). Memphis street was closed between Byron and Stevens and parking was added to both sides of the new gym. 2005-2006 Austin High School is celebrating its 75th anniversary, as our Class of 1956 celebrates its 50th.